Just because your child’s school closes the door for summer doesn’t mean that your child’s education should take a “summer vacation”. It is crucial that your child read or be read to throughout the summer so that everything that they learned at school this year is not lost. Reading Rockets provide a brief article about “Summer Reading Loss” which includes research that indicates, “Our research with 116 first, second, and third graders in a school in a middle class neighborhood found that the decoding skills of nearly 45% of the participants and the fluency skills of 25% declined between May and September. Lower achieving students exhibited a sharper decline than higher achieving students.” (Click here to read more research on Summer Reading Loss). Visit your local library or bookstore. Most libraries and many book stores offer Storytime for young children where a librarian or volunteer reads books to the children. Even in the summer, try to keep a schedule for your kids and go weekly if it’s available. Bring books with you (both for you and for your children). It’s important that children see you reading as well. By modeling book reading you are demonstrating that reading is fun and something that you value not just something you are pushing them to do. With nice weather, bringing a few books with you to the beach, pool, or park will allow your children some time to read in between other activities. Schedule reading into your daily routine. If your children are old enough to read themselves, schedule half an hour of reading a day when the entire family sits down to read (parents too!). Set goals for your child’s reading. Together with your child, select 10 books that your child will read between the time that school gets out and when your child starts up again in the Fall. After each book is completed, have your child do a mini-book report where they write down what the story was about, draw pictures, and reflect on what they liked about the story. Select books related to vacations. Select books that will get your child excited about your vacation and that you can use as talking points when you are on vacation. For example, if you are going to Boston this summer, get “Make Way For Ducklings” by Rober McCloskey and then make a point to go visit the duckling statues in the Boston Public Garden. Book Club Play Dates. Just like parents form book clubs to get together with friends and discuss books, schedule summertime book club play dates with your child’s friends. This makes reading fun and helps your child associate reading with something fun. Let your child and her friend select the books they are going to read together when they meet up each time. Get Creative. Traditional books aren’t the only things that can help children develop and improve their reading: books on tape, ipad reading apps, literacy developing TV programs also help develop literacy skills. SuperWhy, WordGirl, and Between the Lions are all literacy focused TV shows that also offer online games and activities to improve literacy. 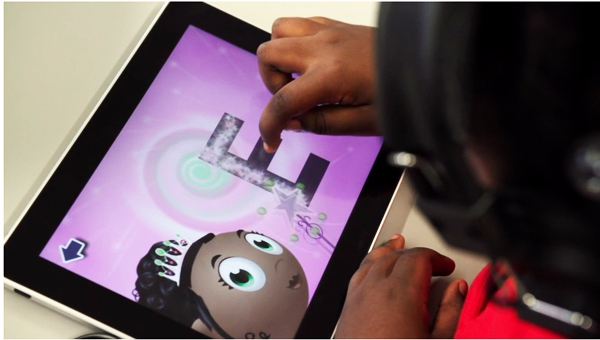 Some literacy apps include: StoryKit where you can create your own storybook with your child. WordWord has ebooks that can read to your child and are based on their shows. Also create your own books, have your children create stories about their summer vacations, activities, and camps! Check out Readingrockets. It has wonderful resources for fun ideas to keep your kids reading all summer. They include a 2011 Summer Reading List that provides wonderful age-appropriate book suggestions for your child. 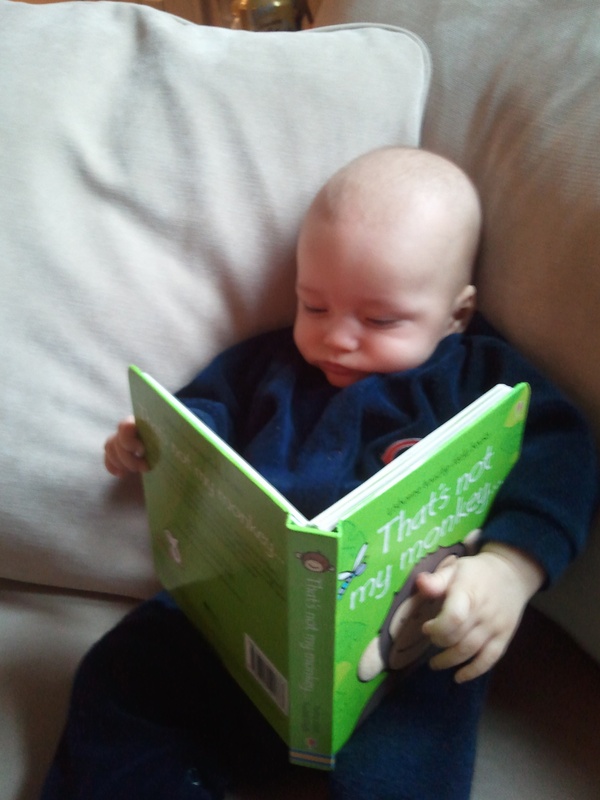 Reading Tips for Parents: Reading Rockets provides quick and helpful Reading tips for parents of Babies, Toddlers, Preschoolers,Kindergarteners, First Graders, Second Graders, and Third Graders!!! Empowering Parents: Reading Rockets Parent’s Guide (Scroll down to the middle of the Page). Reading Rockets provides a wonderful PDF that helps parents build their child’s reading skills at home. The guide begins by explaining that Parents are a child’s first teacher and offers easy tips to help your child become a reader! Toddling Toward Reading Video: Reading Rockets provide a great video narrated by Reba McEntire about the importance of parenting laying the foundation for their children to read. Learning to Read and Write: What Research Reveals: Reading Rockets provides a wonderful review of the extensive research on how young children learn to read and write and the important ways in which parents and teachers can aid in this crucial development. I use technology all the time to help me learn and understand things. Just a few weeks ago, I was attempting to analyze data with complex statistical tests using a statistical package that I wasn’t very familiar with. Completely frustrated, I did three things: (1) I posted a status update on Facebook that read “Does anyone know how to use STATA?”. While I waited for a reply, (2) I googled the specific questions I had “logistic regressions STATA”. When that only provided part of the answer (3) I searched our University’s Library website for statistics program workshops. Never once did I open a traditional textbook. As adults, technology provides us with efficient ways to search for and learn information. So why is there such resistance when people mention using technology as a learning tool for children? In April, an article in the Christian Science Monitor reported about a school in Maine that has decided to give each of their Kindergarteners and ipad2. The title of the article was “iPad2 in kindergarten classrooms: A good idea?” The article includes criticisms about the iPad potentially taking away from teacher instruction. What I find so fascinating about this is the hypocrisy of the entire issue. First, adults are constantly modeling the use of technology as a teaching tool. How many times has your child asked you something to which you have responded, “That’s a good question. We should google that when we get home” (Or right this minute for those of you who have a smart phone). You can learn from technology so why can’t your children? Second, our current education system isn’t working. This generation will be LESS literate than the one before it (Waiting for Superman), 44% of American 4th graders cannot read fluently (National Assessment of Educational Progress (NAEP) Pinnell et al., 1995), and low income and less educated parents are less likely to read to their young children daily (US Department of Education). And these are just statistics related to literacy- our children are also struggling in Science and Math as well (See the National Center for Education Statistics Early Childhood Longitudinal Study for more details on 5th grade Education skills). I am a HUGE advocate for research. I want studies to be conducted that demonstrate the ways in which technology can be used in the classroom and by teachers to help educate young children! However, there are many apps and computer games that have not yet been tested but that are being created with the help of educational consultants and child development researchers to help educate children in a way that is fun which can help to potentially create a generation of children that LOVE learning! And in response to the criticisms that iPads in schools will take away from teacher instruction– As of 2007-2008, the average public elementary school classroom had 20.3 students; maybe providing other ways for children to learn in which they can receive scaffolding, help, and immediate corrections and reactions to the work they are doing is a good thing- even if those reactions are being provided by a computer (some of the time). No one is recommending that teachers or parents disappear and that we let Steve Jobs or Apple raise our children, but the question is why can’t they help? Because at the moment it looks like we can use all the help we can get! Common Sense Media is beginning to review and rate apps to help parents and teachers decide which apps to use and what types of educational skills children may learn from each. Parents want their kids to experience lots of different things. Their children play soccer, basketball, baseball, and lacrosse; they sign up for ballet, gymnastics, and karate lessons; they attend art, violin, and piano lessons; they go to reading groups at the library on Monday; yoga on Tuesday, and Spanish class on Thursday. Not to mention that they also attend school and have weekly scheduled playdates with friends. And yes, they turn 5 next Saturday and will have their birthday party at the local indoor pool with 25 of their closest friends. Sure this is a bit of an exaggeration and a compilation of the activities of all of the kids I know, but as crazy as it sounds it’s not all that extreme. Parents like to make sure their kids get an opportunity to play sports, learn about music, and socialize with other kids. But when your child is running around to 2 or more activities a day, when does Mom (or Dad) get any stimulation or experience with new things? Whether your child is 2 weeks or 20 years old, parent groups are a great way to get yourself involved and active and around other people who likely are experiencing the same things you are. A good friend of mine recently had a baby and joined a mother’s group at a local hospital. She came with a list of questions she had about everything from how to tell when the baby was really done eating to exactly how much of her hair she would lose! Parents need activities and support just the way kids do. Sure, maybe you have already done your time on a lacrosse field or sitting practicing the piano but that doesn’t mean that there aren’t other activities that you might like to still do. And finding other moms (or dads) to partake in activities is good for you and your child! Staying at home with your child and doing the same things everyday with your daughter isn’t good for anyone. In mom’s groups you can get ideas for new games to play with your child, new foods to try, new songs to sing, and simply comfort that other people are feeling the same way you do. There are multiple studies that demonstrate the positive effect social support has on alleviating parenting stress, attitudes toward parenting, and maternal adjustment. BabyCenter.com had a great article about finding mother’s groups. Local Hospitals, Universities, recreation centers, child-care centers, libraries, and even craigslist are ways to find other moms (or dads) that you can connect with on a regular basis. Here is a video of a mom talking about her experience with a mom’s group at ISIS. Here are other resources for starting a parenting group from Family Empowerment Network. Quittner, A. L., Glueckauf, R. L., & Jacskon, D. N. (1990). Chronic parenting stress: Moderating versus mediating effects of social support. Journal of Personality and Social Psychology, 59, 1266-1278. Crnie, K.A., Greenberg, M. T., Ragozin, A. S., Robinson, N. M., Basham, R. B. (1983). Effects of stress and social support on mothers and premature and full-term infants. Child Development, 54, 209-217. Weinraub, M. & Wolf, B. M. (1983). Effects of stress and social supports on mother-child interactions in single- and two-parent families. Child Development, 54, 1297-1311.
more pronounced when he slips into his old bedroom and old patterns. stress. This routine is just like when he was ten years old. loving– relationship of respect and distance. I took care of myself. kind of culture than the one I am familiar with. and we might be better off if he had roommates closer to his own age. that he can stay as long as he needs to. Today in the New York Times there was a very brief article about the use of a Questionnaire to detect Autism earlier. The New York Times did a very nice job summarizing the findings of the research. The questionnaire used in this study was the Communication and Symbolic Behavior Scales Developmental Profile Infant-Toddler Checklist (CSVS-DPIT-Checklist). Despite the focus on Autism in this article, the questionnaire is actually used to assess a range of disorders including language delays, Autism, and global developmental delays. 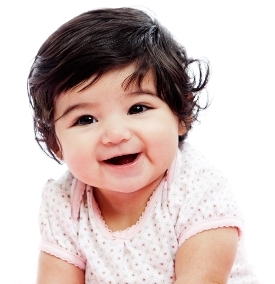 In the study, pediatricians had parents complete the questionnaire for their child at the child’s 1 year pediatric check-up. The staff at the pediatrician’s office then scored the questionnaire and reported to the doctor whether or not the child “failed” the questionnaire (indicating some sort of delay). If the child failed the parent was given a flyer referring them for treatment at the Autism Center of Excellence. The main point from this study was that while there were some false-positives (meaning children “failed” the screening and did not end up being diagnosed with Autism later) the use of this questionnaire and screening did identify children as early as 12 months with developmental delays and got them into treatment programs earlier! Generally, children are not diagnosed with Autism until they are over 2 years and therefore do not receive treatment until then, but with this screening tool children more children may be able to start treatment for disorders at earlier ages. Also important to note, the pediatricians that participated in this study are continuing to use the screening tool at the children’s 1 year old check-up. The Autism Center of Excellence has wonderful resources including Early Warning Signs of Autism, Treatment, and general Toddler Development information.